Manchester Mortgages received a phone from potential clients in Wythenshawe asking us to review their mortgage and existing credit commitments. The clients were in their mid 40’s with grown up children, one client was self employed with the other being employed – they had a joint income approaching £60,000 per year. Their property was valued at £ 250,000 with an existing repayment mortgage with Bluestone Mortgages which had £115,000 outstanding with 13 years remaining – they were on lenders standard variable rate paying £1,049 per month. They also had a secured loan on the property with £14,000 outstanding which they were paying £ 379 per month and this had 4 years remaining. The mortgage and the secured loan was costing them £1,428 per month and in total they owed £ 129,000 – they also wished to capital rise £11,000 for home improvements. Clients wished to reduce their monthly outgoings to £1,100 per month and retain their mortgage term at 13 years. Clients credit history over the last six years meant they had been involved in an Individual Voluntary Arrangement ( IVA ) which had been repaid over three years ago but the entries on their credit file were showing incorrect late payments on a car finance agreement which were in fact up to date. As lenders check your credit file on mortgage application the incorrect entries meant that our clients would fail most High Street lenders credit score meaning that our clients would not be offered competitive rates and would normally have had to be recommended to an adverse lender meaning higher mortgage rates resulting in higher monthly mortgage payments. 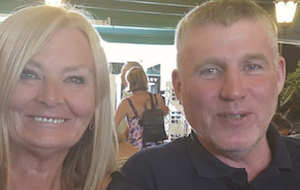 By increasing their mortgage to £140,000 this enabled clients to repay existing Bluestone mortgage and secured loan and capital raise £11,000 for home improvements. Using our expertise Manchester Mortgages were able to recommend a High Street Lender who offered our clients either a 2 or 5 year fixed rate mortgage with no arrangement fees along with a free valuation and free legal services. After fully discussing clients requirements Manchester Mortgages recommended a 2 year fixed rate at 2.79% from Halifax over 13 years on a repayment ( capital & interest ) basis which reduced the mortgage payments to £1,068 per month – a whooping reduction of outgoings of £360 per month and also raised £11,000 for required home improvements. With their mortgage payments reduced clients are seeing the benefit of their £360 per month savings and looking forward to designing and having installed their new bathroom. If you have an existing mortgage and outstanding loans or credit card balances or wish to improve your property give MANCHESTER MORTGAGES a call on 0161 706 0242 to see if we can make a difference to your mortgage payments. Previous PostWhat are the benefits of remortgaging ?